Jasper Morrison (b. 1959), United Kingdom. Jasper Morrison was born in London in 1959, and graduated in Design at Kingston Polytechnic Design School, London (1979-82 BA (Des.)) and The Royal College of Art for Postgraduate studies (1982-85 MA (Des.) RCA). In 1984 he studied at Berlins HdK on a Scholarship. In 1986 he set up an Office for Design in London. His work was included in the Documenta 8 exhibition in Kassel in 1987, for which he designed the Reuters News Centre. The following year he was invited to take part in “Design Werkstadt”, a part of the “Berlin, Cultural City of Europe” program, where he exhibited “Some new items for the house, part I” at the DAAD Gallery. He then began designing products for SCP in London, the German door handle producer FSB, the Office furniture company Vitra, and the Italian furniture producer Cappellini. In 1992 together with James Irvine, he organised Progetto Oggetto for Cappellini, a collection of household objects designed together with a group of young European designers. He also worked with Andreas Brandolini and Axel Kufus on a variety of installations, exhibition designs and town planning projects under the umbrella of Utilism International. In 1992, his slide show lecture "A world without words" was published in book format by the graphic designer Tony Arefin. In 1994 Jasper Morrison was guest of honour and held an exhibition at the Interieur 94 exhibition in Belgium. In 1995 he held a solo exhibition at Bordeauxs Arc en Rêve Centre darchitecture. He began a consultancy with Üstra the Hannover Transportation Authority by designing a Bus Stop for the City. In 1995 Jasper Morrisons office was awarded the contract to design the new Hannover Tram, the largest European light rail production contract of its time, at 500 Million Deutschemarks. The first vehicle was presented to the public in June 1997 at the Hannover Industrial Fair, and awarded the IF Transportation Design Prize and the Ecology award. More recently exhibitions and installations have included: "The State of Things" to complement the editing of the 1999 Design Year Book. Solo exhibitions at the Axis Gallery, Tokyo, for Flos at the Yamagiwa Centre in Tokyo, as Designer of the Year 2000 at the Paris Design Fair. Recent projects include the design of furniture for Tate Modern in London, "Luxmaster" for Flos, Folding Air-Chair and Low Air-Table for Magis; a monograph "Everything but the Walls" published by Lars Müller Publishers; a bench for the Roppongi Hills development in Tokyo; ATM desk system for Vitra ,a line of kitchen appliances for Rowenta, Pots&Pans for Alessi and a sanitary- and brassware range for Ideal Standard.In 2005, founding of Super Normal with Naoto Fukasawa. In June 2006, first Super Normal exhibition in Tokyo. Two early projects that gained attention were room installations, "Reuters News Center" for Documenta 8 in Kassel, and "Some New Items for the Home" at the DAAD Gallery in Berlin. The stringent concepts of these projects, which featured starkly reductive objects, represented a reaction to the formal excesses of postmodernism. Jasper Morrison became a leading figure of "New Simplicity", a movement that advocated a more modest and also more serious approach to design. In addition to furniture, he has also created lamps, home accessories, textiles, a tram system for the city of Hanover, Germany, and a bus shelter for the Vitra Campus in Weil am Rhein. His joint 2006 exhibition with the Japanese designer Naoto Fukasawa, entitled "Super Normal", put forth provocative theses that once again stimulated great discussion. Along with Ronan and Erwan Bouroullec and Hella Jongerius, Jasper Morrison has made essential contributions to the steadily growing Vitra Home Collection. Jasper Morrison Ltd. currently based in London and Paris, has worked and in most cases still do for the following companies: Alessi Spa, Italy; Alias Srl, Italy; Canon Camera Division, Japan; Cappellini Spa., Italy; Flos Spa, Italy; FSB GmbH, Germany; Magis Srl, Italy; Rosenthal AG, Germany; Rowenta, France; Sony Design Centre Europe; Vitra International AG, Switzerland. In 2004, began consultancies with Samsung Electronics, Korea, Muji (Japan), Ideal Standard (UK) and Olivetti (Italy). Jasper Morrison is a designer whose work ranges across art direction, furnishing and lamp designs, exhibitions, renovations, show room and point of sale set-ups. Some of the most famous objects of British design carry his signature including his Jasper Morrison furniture collection, the Vitra Cork Stool and Flos Glo-Ball Lamps. His simple yet intuitive designs, available from Stardust, bear the mark of design classics and are easy to incorporate in existing decorative schemes. 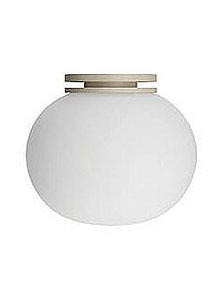 Shop Jasper Morrison furniture and lighting at Stardust & receive Free Shipping and a 110% Low Price Match Guarantee. Stardust; the best design shop in town™, buy modern home furnishings and designer lighting!